When you’re pursuing a roof replacement project, GAF’s Grand Sequoia® roofing shingles can be a great choice for your new roofing material. This product line from one of the top roofing manufacturers offers more than just a covering on top of your home. It has features and warranties designed to magnify your roofing system’s aesthetic and function. 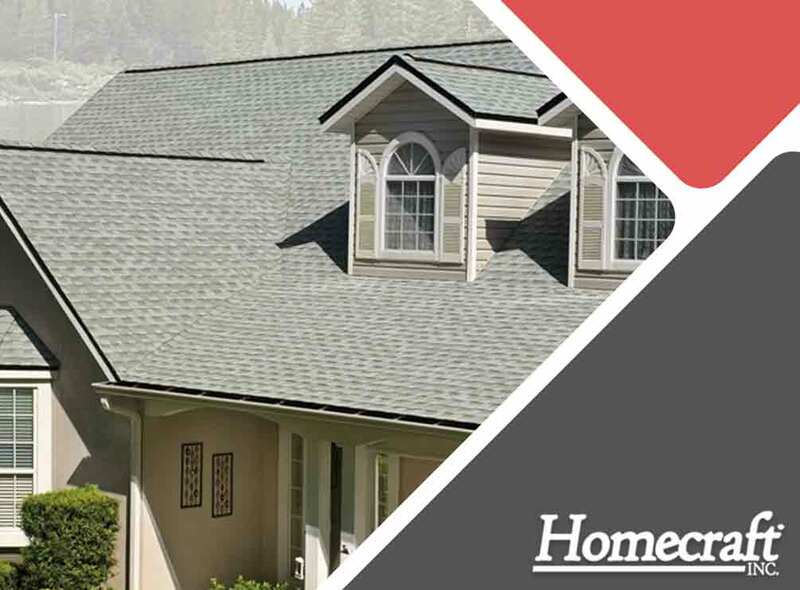 Read on as Homecraft®, Inc., a leading roofing and home improvement company in the area, explains more about this exceptional product. GAF Grand Sequoia Roofing shingles exude an elegance that easily fits any home style. Available in a custom palette of colors, they can easily match other exterior components like entry doors, windows and siding. Like many of GAF’s roofing products, they’re protected with StainGuard®, which prevents the roof from discoloration brought about by blue-green algae. These shingles are also designed with Advanced Protection® Shingle Technology. Many roofers offering GAF products know that this innovation helps minimize the use of natural resources and environmental waste while providing top-notch protection for your roofing system. In addition, Grand Sequoia shingles are capable of staying in place even during high winds reaching up to 130 mph. That’s all thanks to the Dura Grip™ adhesive, which secures each shingle tightly and limits potential blow-offs. They’re also among the elite when it comes to fire resistance—UL Class A, listed to ANSI/UL 790, the highest rating for roofing materials. These roof shingles offer peace of mind for homeowners, thanks to the product line’s Lifetime Limited transferable warranty with Smart Choice® Protection. Having earned the Good Housekeeping® Seal means Grand Sequoia shingles are trusted roofing products noted for their high quality and protection. Trust only GAF-certified roofing companies like ours us for the best roofing products and services. Homecraft, Inc. is proud to be a GAF Master Elite® contractor, a distinction only a few Delaware roofers have achieved. Apart from roof repair and replacement, we also offer home improvement services like windows, doors and siding installations. Call us at (877) 494-0377 to get started. You may also fill out our contact form to request a free quote. We serve Newark, Middletown and Bear, DE.